El Best Western Hotel Anno 1937 se encuentra en el centro de Kristianstad. Venga y disfrute de las mejores atracciónes turísticas cerca de nuestro hotel. Precios bajos garantizados y ofertas exclusivas. El Best Western Hotel Anno 1937 es un pequeño hotel que ofrece un aire hogareño. Ofrecemos un ambiente relajante y agradable. Nuestras 33 habitaciones cuentan con cómoda ropa de cama, ducha, aseo, teléfono, televisión por cable con canales gratuitos y decoración individualizada en cada habitación. Después de un buen sueño disfrutará de nuestro fabuloso bufé de desayuno servido en el restaurante que incluye un servicio de 24 horas. Todo el hotel es exclsuivo para no fumadores. El Best Western® Hotel Anno goza de una céntrica ubicación en un encantador edificio centenario con estacionamiento propio. Los huéspedes disfrutarán de las tiendas cercanas, los restaurantes, los bares, los cines y otras actividades de ocio. Otros entretenimientos se encuentran a una corta distancia que incluye cinco campos de golf y, a apenas 15 minutos de la ciudad, se encuentra nuestra ciudad veraniega, Ahus, con playas de arena fina, tiendas, restaurantes y tiendas de los diseñadores locales. "It really depends which room you get"
"Budget hotel for a budget price"
Stayed at this hotel for one night. The hotel is small and so are the rooms. The beds are soft and it takes a while for the shower water to get warm. There is no restaurant in the hotel, but there is a breakfast buffet. WiFi is good and there are nice restaurants in the vicinity of the hotel. If you're looking for a cheap hotel and don't have too much expectations, this could be the hotel for you. 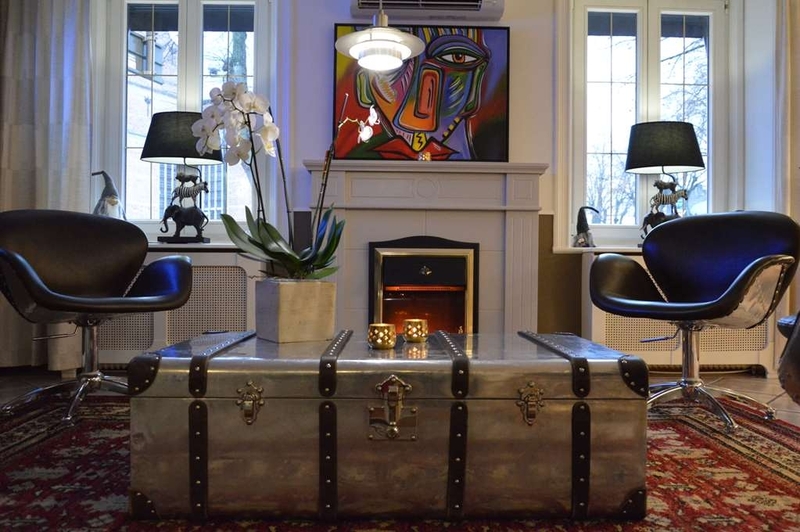 "Nice hotel in the Citycenter"
The hotel is classic with charmful rooms. The breakfast area is small but with various alternativs. Free koffe and cakes all the day. 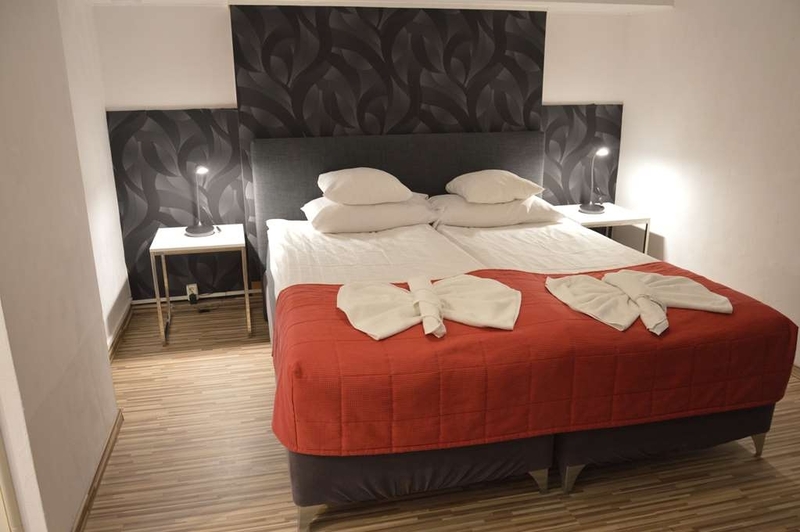 The hotel is situated in the centre of Kristianstad close to gyms and other activities. A simple hotel with only little charme. If you expect a cozy Swedish stay go somewhere else. This hotel is a youth hostel without any nice facilities. 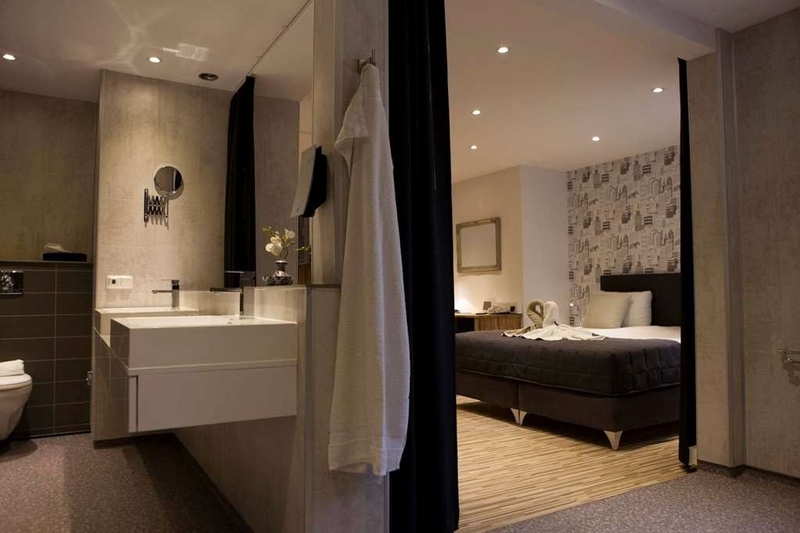 Tiny rooms with bad far too soft beds and the bathroom is indiscussable for a hotel. 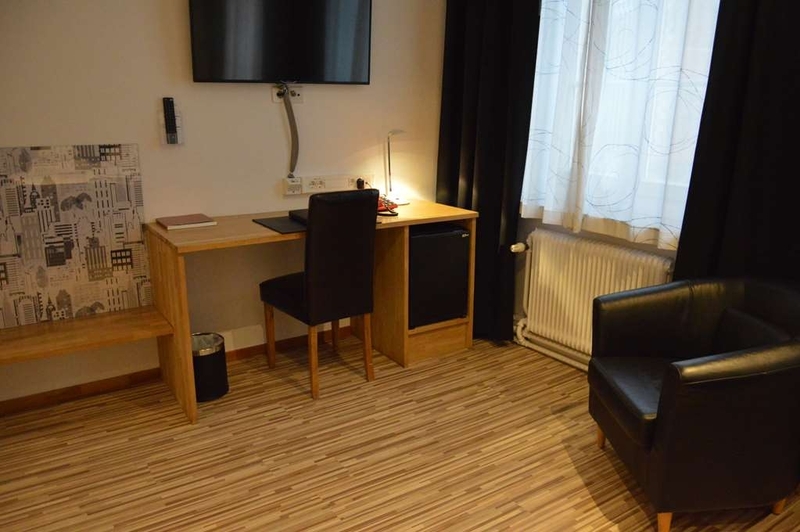 I recently stayed at the Best Western on business, The Hotel is just a 5 minute walk from the train station which is a 2 1/2 hour train journey from Copenhagen airport. And is 5 minutes from the Shops, Shopping Centre and Markets. -This is an older hotel, but with reasonably modernised warm comfortable rooms, I guess I could liken it a bit to a Premier Inn (UK), but in an older property. My room overlooked an inner courtyard, and since the weather wasn't up to much in April, I didn't mind! Pluses! The bed I had was large and comfortable. Also, there was a fridge in the room, which was really handy for snacks and milk for coffee and tea! The TV was large- but the only English speaking channel is BBC News. Thankfully I speak Swedish, so not a problem. The hotel and the rooms are clean. Breakfast was nice buffet style, and is open from 06:30 am. In addition to several types of bread choices they had a lovely sweet, spice bread (If you like something sweet, but nutritious - I would really recommend this). Scandinavian bacon and eggs are also on offer if you want something hot. 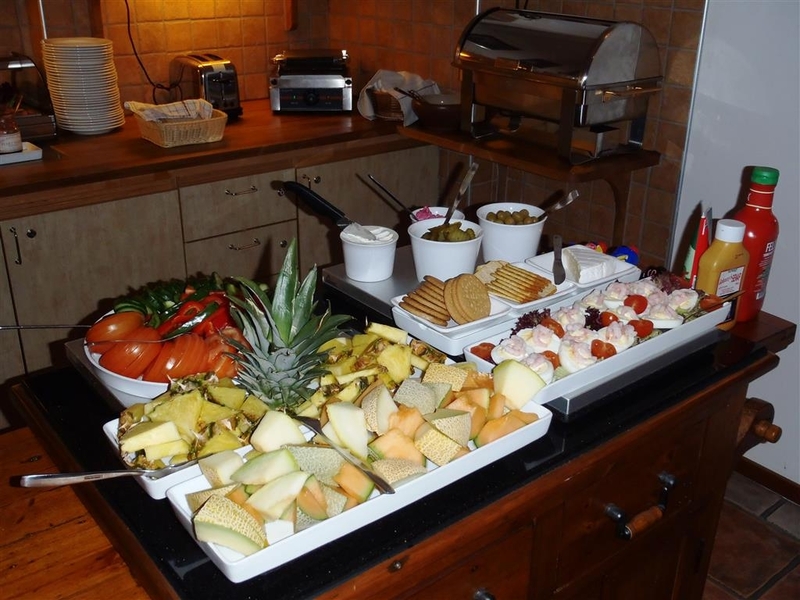 Otherwise the buffet offers plenty of choice of yogurts, cereals, fresh fruits, meats and cheeses. You can help yourself to coffee in the breakfast area throughout the day and evening together with the days cake(s) . If your in a hurry you can fill up a takeaway cup of coffee or tea to take with you. The Hotel reception staff were very nice, welcoming and helpful! They sorted out a taxi for me at a reasonable price and helped me get onto the Wifi when I was having some issues. My only gripe was the bathroom - with no shelving it was difficult to find somewhere to put my toilet and make up bag (I don't like leaving it on the floor) - so ended up hanging them on the towel hooks. Tip! As with all Scandinavian hotels, there are no coffee and tea making facilities in bedrooms - so take a travel kettle and some coffee and T-bags with you! Kristianstad is a very nice town - for food on the go - visit the local Coop, a couple of streets away which does hot food, as well as a good salad bar, There is also a reasonable 'eat as much as you like' for one price Chinese Restaurant in the same shopping mall as the Coop at the opposite end near the entrance to the Cinema. For a real foodie experience visit the Bar B K restaurant, just a few streets away - the fish stew is outstanding! Very small room, but perfect for one person travelling alone. TV was a bit difficult to watch in that space though. 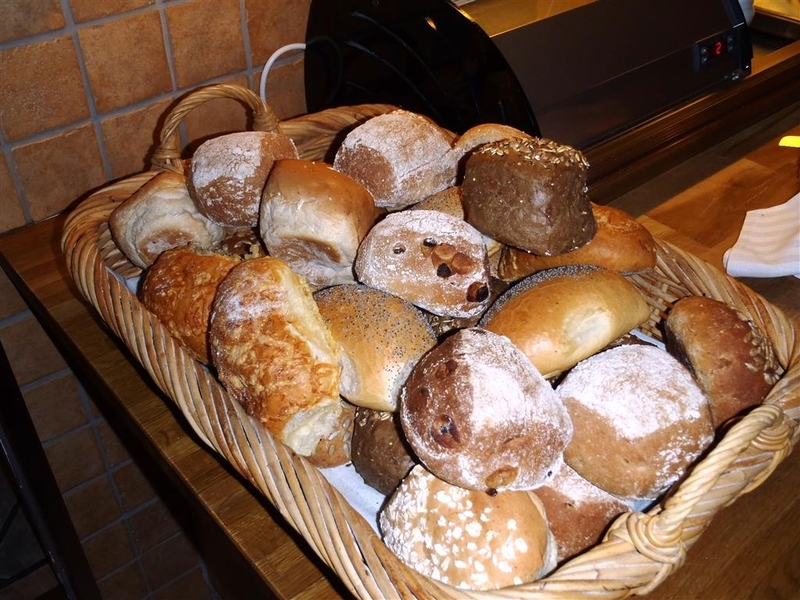 Breakfast adequate, several choices and freshly baked bread. Egg and bacon both quite bad though, the egg being watery and bland. Good hotel, room was a little small but it is normal in city hotels in Sweden. Good and friendly staff at check inn. Be aware that during some hours in front of the hotel to park you have to pay a parking fee. Wondefull and good breakfast wiht a lot of options. 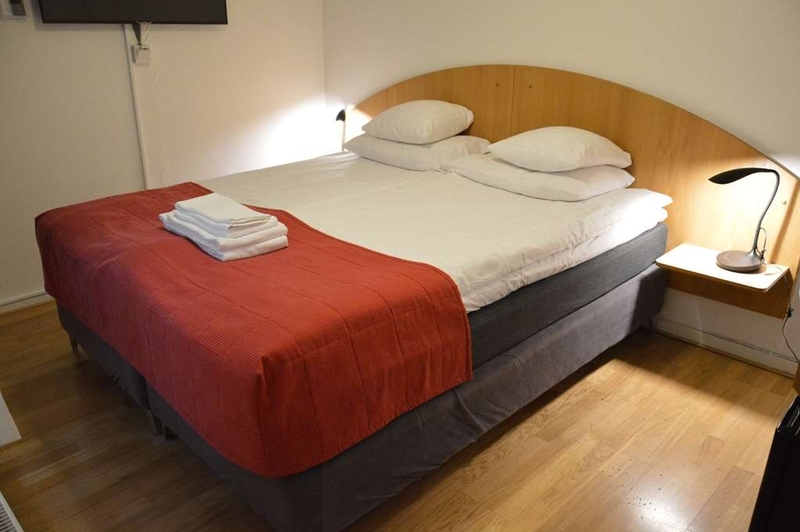 The hotel is in the centre of town and opposite the church, and only a 5 minute walk to the shopping streets. The hotel is in an old building but the style is quite modern, and the rooms all have a modern style. The staff are great and the food is excellent but pricey. It is as the title says an old 1937 building but nicely renovated by Best Western. The building has an interior garden, this is why some rooms have windows to the inside, the same with washrooms, mot much privacy. I wasnt crazy about this but it is what it is. Access to tge room can be a hassle going around if your room is facing the interior garden opposite ronthe street and the elevator, long corridors. Great location, just acoss the street from the cathedral and around the corner from the centre. Dont espact much from the core, ay 7 pm on Friday most shops and restaurants were closed, I had hard time finding something to eat, not counting the pricey steakhouse around the corner. No, there is no restaurant at the hotel, breakfast only. The breakfast could have been a little better but this is typical for an average hotel. Parking is in the front of the hotel, free over night only, like everywhere else in Sweden. The rooms are nice, see pictures attached, and very clean. Overall is a good place to crash. Good value for the money. 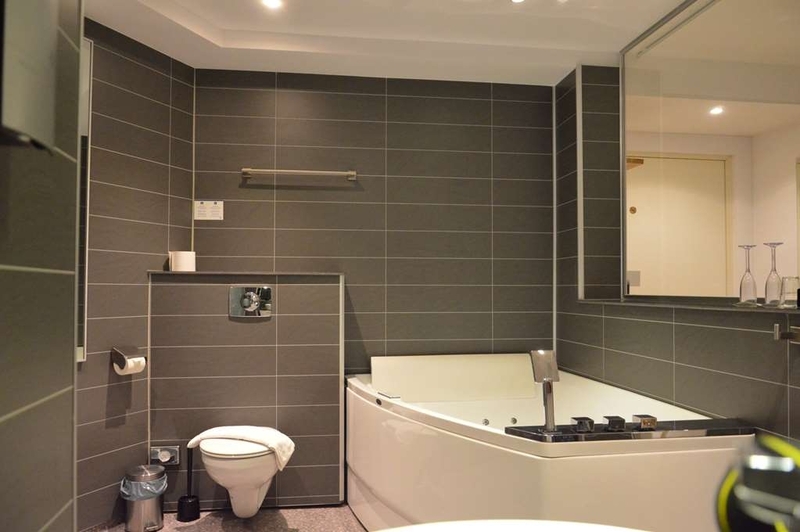 "as I wanted a room were the bathroom was discreet (I had seen on tripadvisor that some bathrooms were visible through a"
I wanted a room were the bathroom was discreet (I had seen on tripadvisor that some bathrooms were visible through a glassdoor!) I got a very nice room with descrete bathroom, great balcony and view over the Cathedral. The staff was kind. Everything was clean and the bed and chairs comfortable. 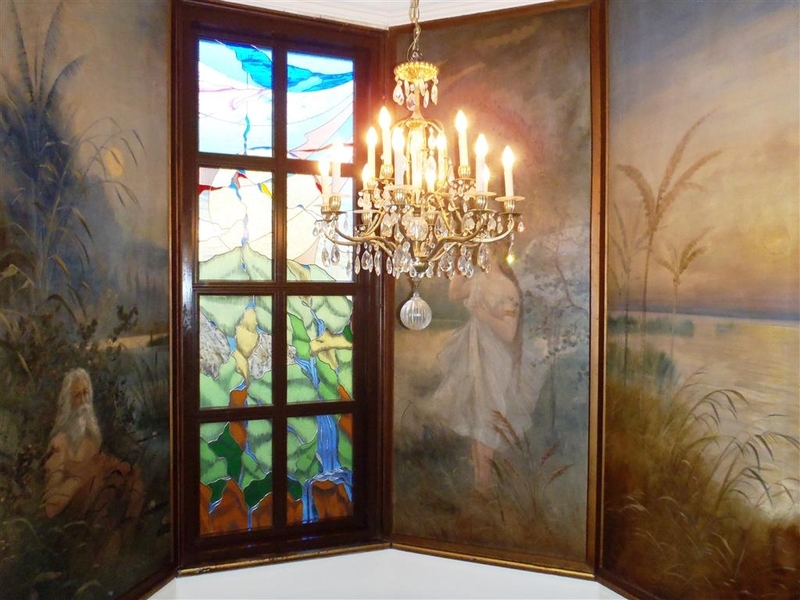 But: The diningroom was miserably gloomy. The breakfast mediocre. The entrance to the hotel and to the rooms was not suitable for disabled or elderly persons. Quite cheap. Easy to park on the street outside the hotel. However, remember to move the car before 9 PM. 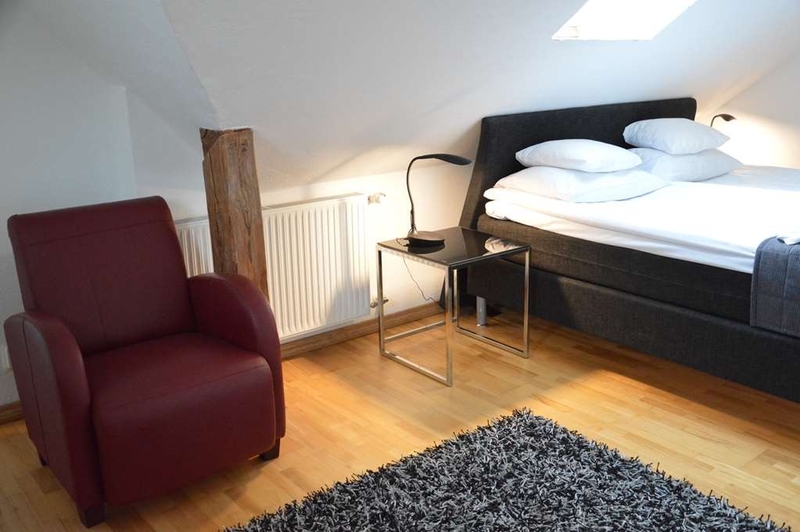 Clean, small room with good beds. Small toilet. Plastic mat on the floor in the bathroom. 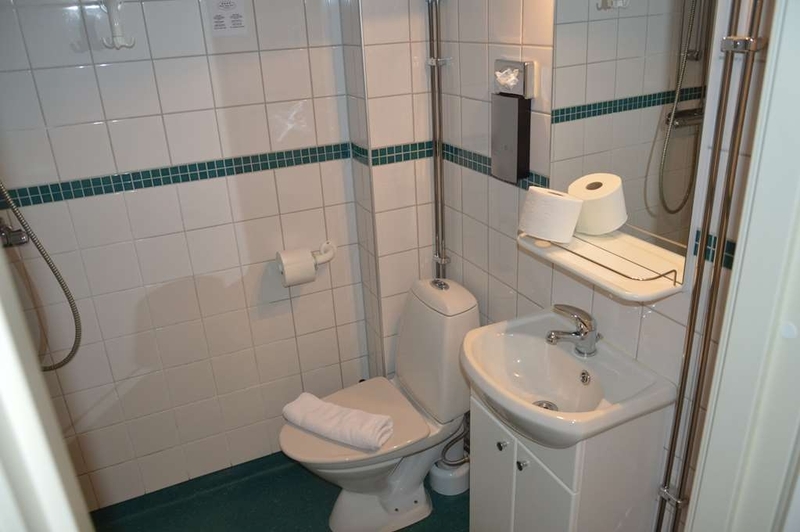 Soap, shampoo and hair dryer are in the bathroom. TV OK. Fridge and safe in the room, but they were not tested. Good Wifi. Good free breakfast. No AC. Open the window instead, the street is quiet outside. If the price is right I would stay here again. "Three nights business - very satisfied"
Very nice hotel. 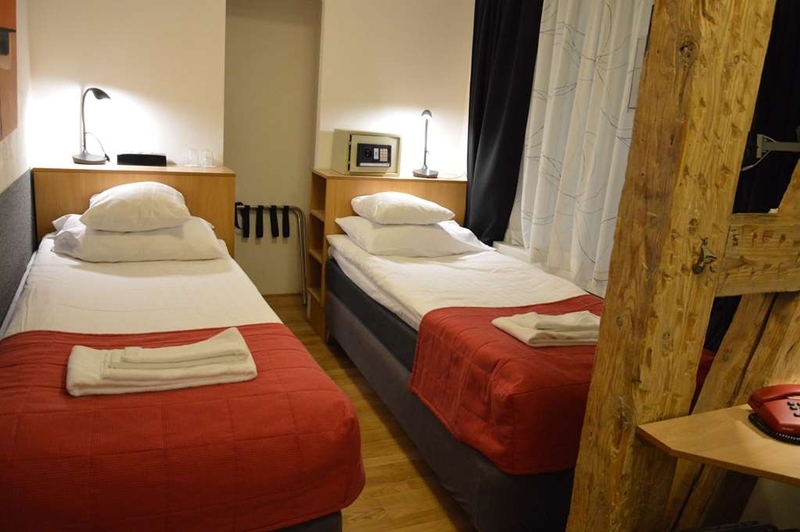 The rooms are cozy and clean, staff is friendly. Really fast wifi is included in the room price. Lots of TV-channels, including premium sports channels. Beds are comfortable, and the breakfast is of good quality. Nothing to complain about, but also no particular wow-factor. Business associates stayed at several nearby hotels and were not satisfied. Seems to be among the better in town! 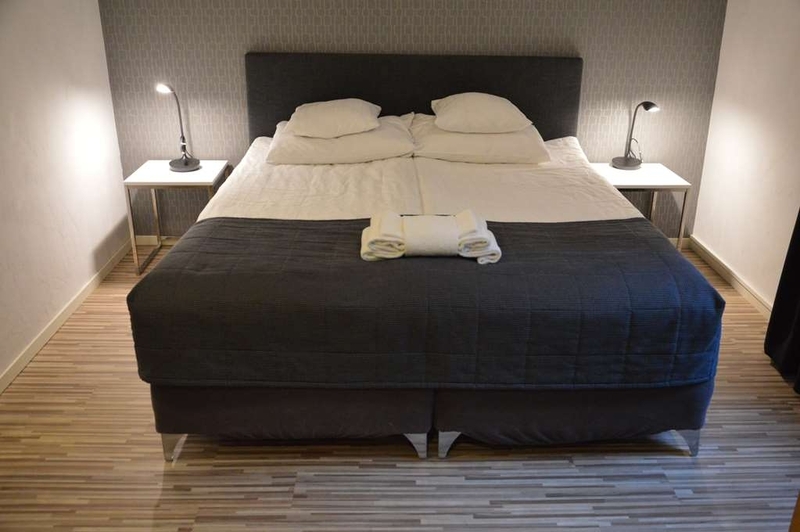 "Business trip one night - it's ok"
It is situated right in the centre of Kristianstad which means it is close to bars, restaurants and so on. A nice and newly renovated room and friendly staff.. Wifi included and breakfast more than enough to not walk away hungry. We are a couple that visited many hotels even with a shower in the middle of the room in Amsterday but have never seen a toilet with a transparent window you cannot dim there is no curtain nothing ! We are married many years and have no problem with privacy but this was to much. Obviously don't recommend if you share the room with business partner or even a friend. "Glad we only stayed 1 night"
We definitely did not get a "renovated" room. Our room was at the back of the hotel, looking over a courtyard I think, as you couldnt actually see out of the window. The room was VERY small, 2 single beds, a big wooden pole in the middle of the room, a very small desk and a very basic bathroom. There should be more photos of the rooms on their website, as there is only a photo of a big renovated room - looks like nothing we had. 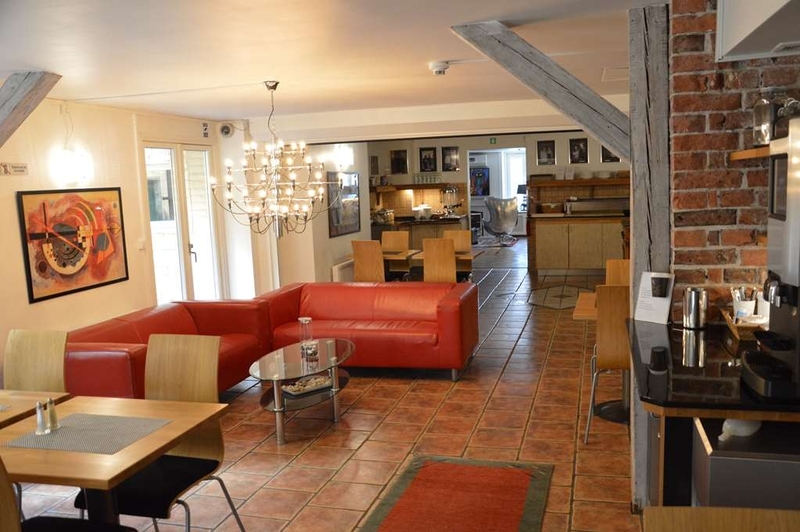 Nice hotel in a great location, handy for all the restaurants and pubs and about 100m from the train station. The rooms do have a huge glass window in which you can see your toilet and shower from the bedroom, I wouldn't have liked to have had this room if I was with my wife but solo it's fine. The cleaners need to learn to leave the radiator settings alone, I constantly had to adjust the radiator upon returning to my room at the end of the day. I would probably stay again for the location and because I'm a best western rewards member. This is a hotel we won't forget. We stayed a weekend in Kristianstad for Christmas shopping and had booked a superior double room. As promised on the hotel web-site our room was recently renovated with modern interior. But to our surprise we got an integrated bedroom and bathroom with open view to and from the toilet and no doors in between to provide a bit of privacy. Apparently each room has been designed individually to fit the old 17th century building. So the open-view toilet may not be a standard feature. Still, unless you enjoy watching TV from your bathtub we would recommend to avoid room 101 and ask for one with a separate bathroom. Otherwise Hotel Anno 1937 provided good value for money. The location, cleaning standard and service was fine, and the breakfast was OK. So altogether it is not at all a bad choice. "Good price in a very fresh hotel"
We stayed here for a night and had a double room. The hotel was a small building in the middle of the block. The stairs was a little dangerous, because they had different colors on some steps, so it was easy to miss them. The hotel else was nice, fresh and must have been renovated last years. The guy working the night in the hotel did a great job, he took care of us when we arrived, also made the breakfast start earlier so we could get some food before we left. Since we also told we were leaving early he did some sandwiches if the real breakfast wasn't ready. Great service, thanks a lot for the perfect support. 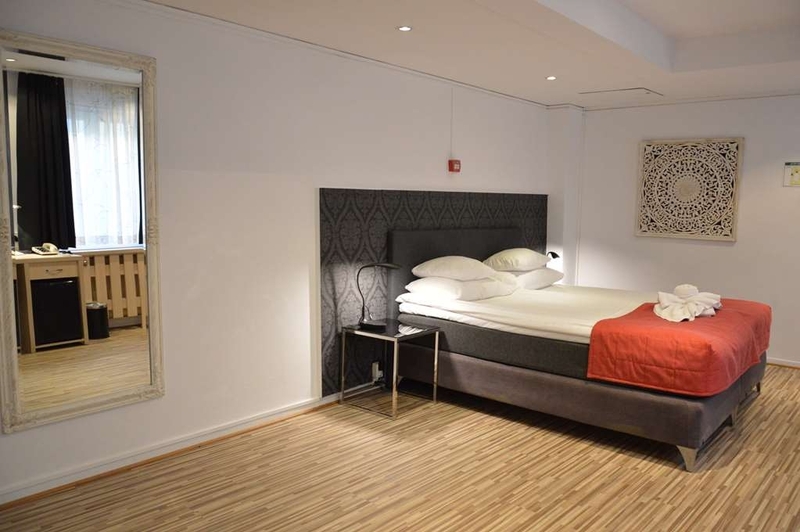 "A small and nice hotel"
A majority of the hotels in the upper price range in Kristianstad, are situated more or less at the same area, around the beautiful 400 year old Kristianstad church and close to the railway station. One of the hotels is Best Western Hotel Anno 1937. 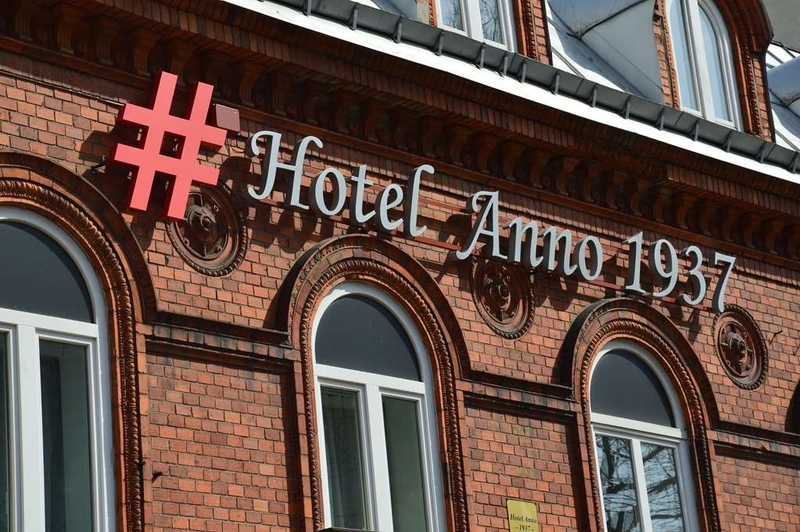 It's a small hotel in a more than a 100 year old building and offers free Internet. We got a nice room at the ground floor with soft beds (normal in Sweden). Outside of the room we had the hotel's small courtyard. Unfortunately our room was a little bit dark but I believe that the rooms at the upper floor are more normal as the daylight will come into them. So I think that our room doesn't represents the average room in this hotel and some guests perhaps also prefer to get a room, a little bit dark like this one. The breakfast? It was Sunday morning and few guests but the hotels' breakfast was “OK” but not more than that. I can imagine that normal days, with a lot of guests, the breakfast is more rich and varied. And I could see a waffle iron connected to the electrical outlet but not any waffle mix! The conclusion then? The hotel is absolutely not a four star hotel but a “three plus” is more appropriate.